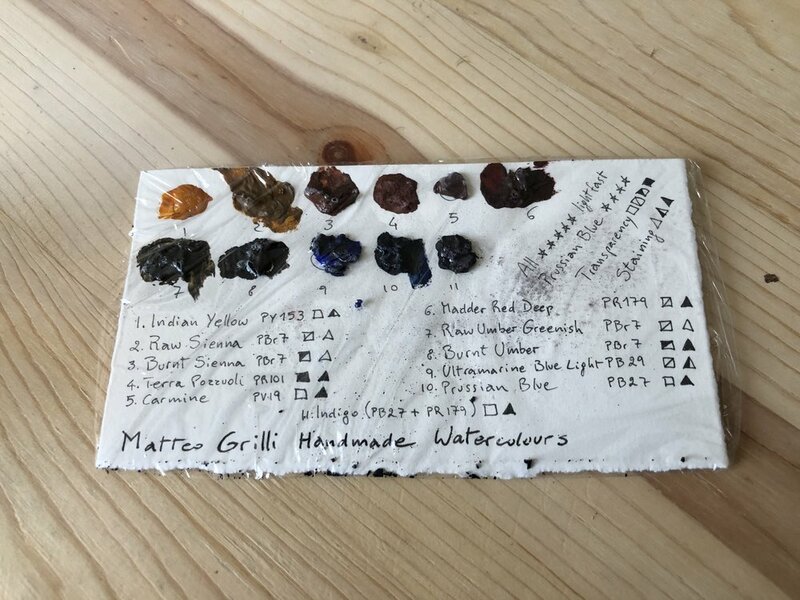 I have been painting with watercolours for 23 years and I have been making watercolour paints for the last four years. Every batch of paint is hand-mixed on the glass slab for no less than one hour non-stop. These handmade watercolour paints feel very smooth on the brush and on the paper. All paints are very lightfast. A talented professional artist himself, Matteo makes these paints for his own use and eventually decided to share them with others. In a sense they are very simple. Only 10 colors. Single pigment. Nothing fancy. But there is something to be said for a line that simply focuses on quality and utility. You can see in the way these paints shine in his own paintings come out where his focus is. The end result. Beautiful paintings. 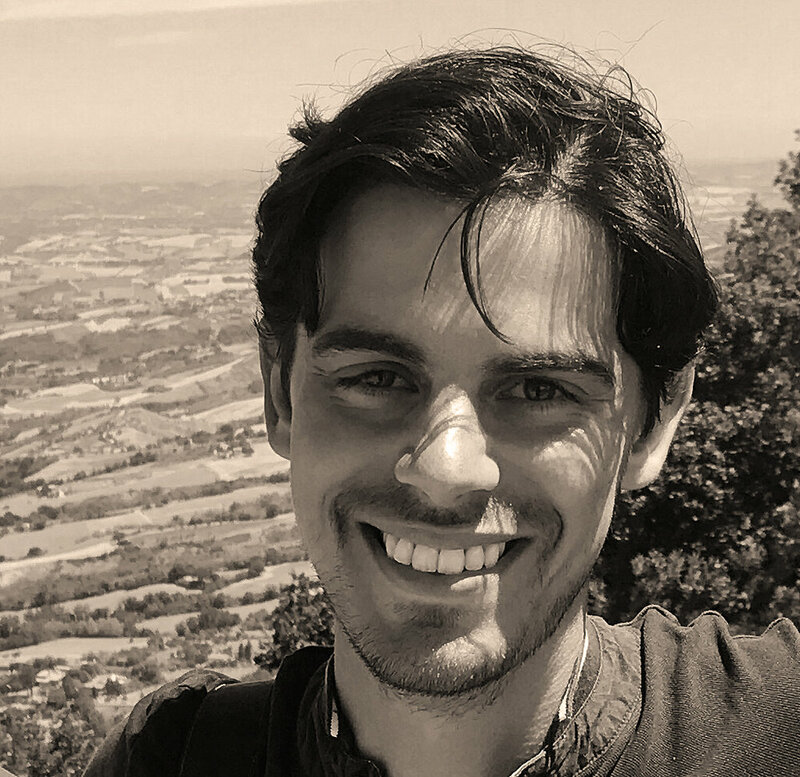 You can see how careful he is in the creation of his watercolors in videos he has produced and blog posts explaining the topic. These pains are best suited to the painter who simply wants to get their job done with very high-quality paint. There are no glitter paints. There are no multi pigment colors. Just a few single pigment colors. Mateo is an artist himself, and you can see that in the colors that he has made here. These are colors for a working artist. You didn’t have to worry about the pigments that he has chosen fading on you or ever worry about low pigment load. They are reliable and dependable. And of course, beautiful! I'm really excited to announce that I have created my first Skillshare class on watercolor mixing! Have you ever wanted to learn how to mix different colors with watercolors? 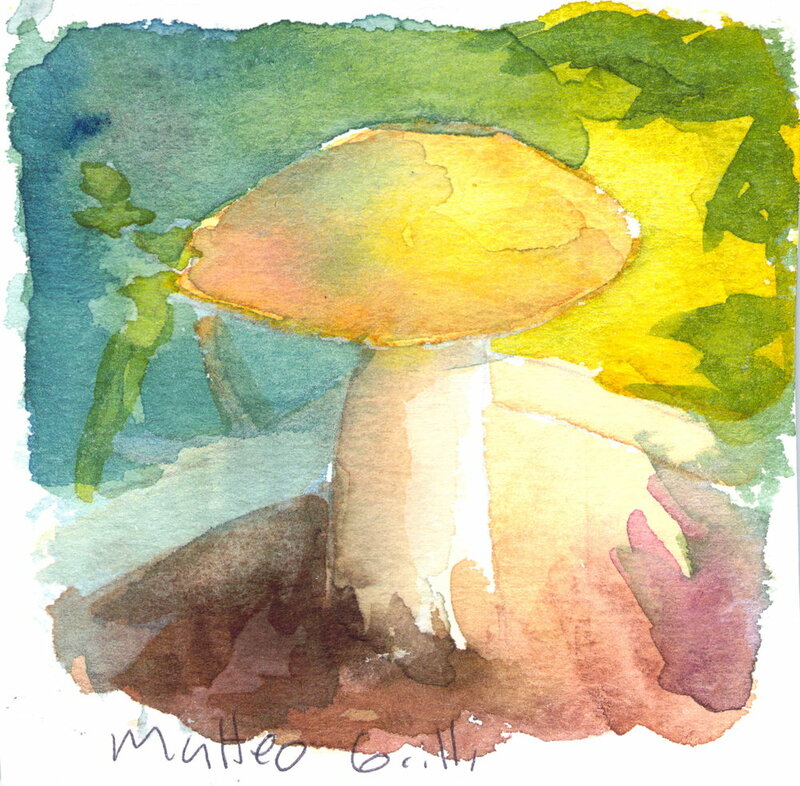 Are you confused about how to mix watercolor on paper or on the pallet? These things can be very confusing for beginners and more experience painters alike. 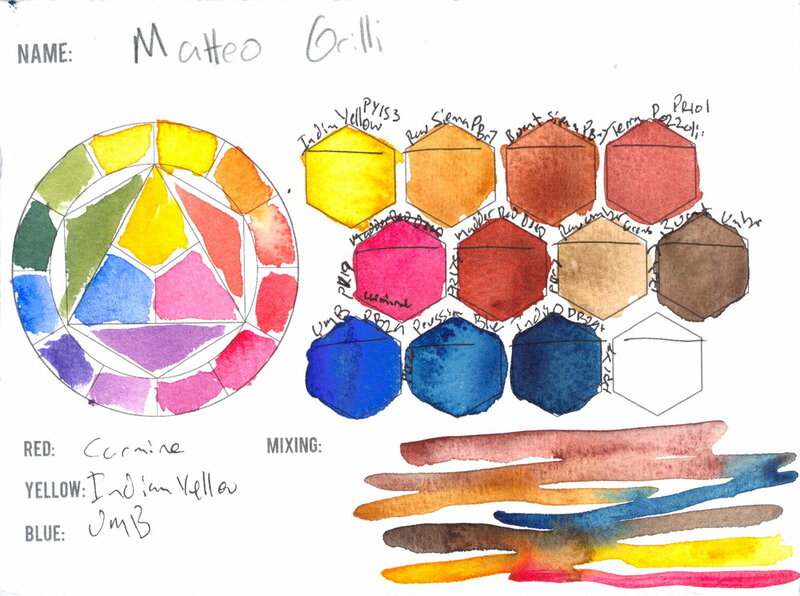 In my class, I show you step-by-step how to understand how colors work in watercolor. Not only is there a video demonstration, but I also have several watercolor mixing chart pdfs available for download to help with the learning process. If you've been wanting to learn more about colors, swatching , the color wheel, or color charts, check out my course! This course is designed for anyone who wants to learn how to mix the perfect shade in watercolor quickly and easily every time. 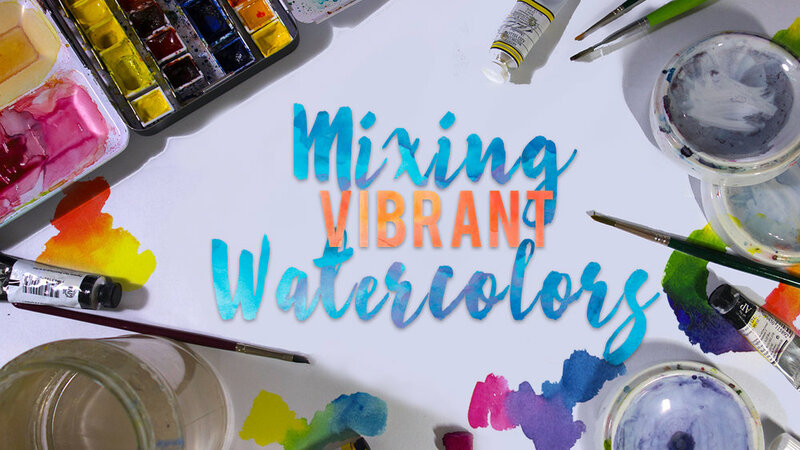 Whether you are just starting to use watercolor, or you can already paint flat washes like a PRO, you'll learn tips and tricks that will show you how simple it is to put the color you imagine right onto the page. We will start at the very beginning and move on to all of the techniques that can help you create beautiful paintings. Whether you like painting flowers, animals, buildings, or portraits, by the end of this course, you will have new skills that will help you to choose just the right colors for your subjects! Watercolors are such a joy to work with, but there is one big problem that many people run into. Just how do you mix all of these beautiful pans and tubes of color to make the image that you have in your mind? I will show you how to get to know your watercolors, explore them, and figure out color mixtures that you would never have attempted before. Put All Of This Information Together To Create A Beautiful Painting! This course is meant to give you all of the knowledge you will need to start making new colors from the paints that you already have . Not only will you be able to mix the colors shown in this course, but you will be able to make any color that you can dream of on your own with these techniques!